Hello all, I recently cut about 1/8 of an inch off the tip of my left index finger (am right handed) which stopped me from playing guitar for about six weeks. I am back in playing shape now but while I was off I gave the idea of lap or pedal steel much thought. I recently pulled the pin on a few parts from the USA (am in Australia) and when they arrive I will hammer them together with a few nails add a few strings and do what seems compulsory, learn Sleep Walk. Till now I have only played a brief bit of slide when I made a three string biscuit tin lap for a novice friend as a gift and recorded a bit of a demo for him. While I have been doing a bit of WWW looking at the world of steel I noticed this add on a well known mail order site. I guess if you sell a great many things you don't always know what it is that you are actually selling so I guess the sales department just takes a bit of a stab in the dark. It gave me a chuckle so maybe you guys will enjoy it too. 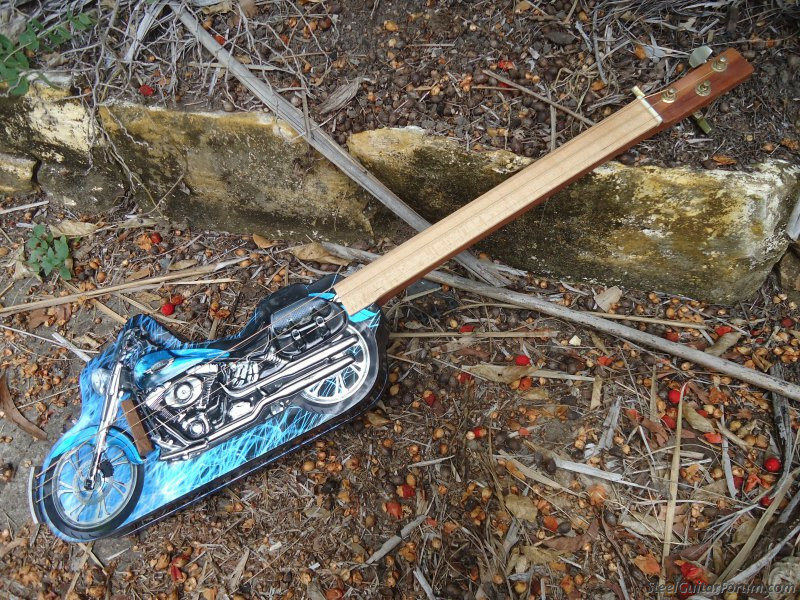 I am not sure if this is a fancy Diddley Bow, a Cigar Box Guitar or a lap steel but thought I would post it anyway. 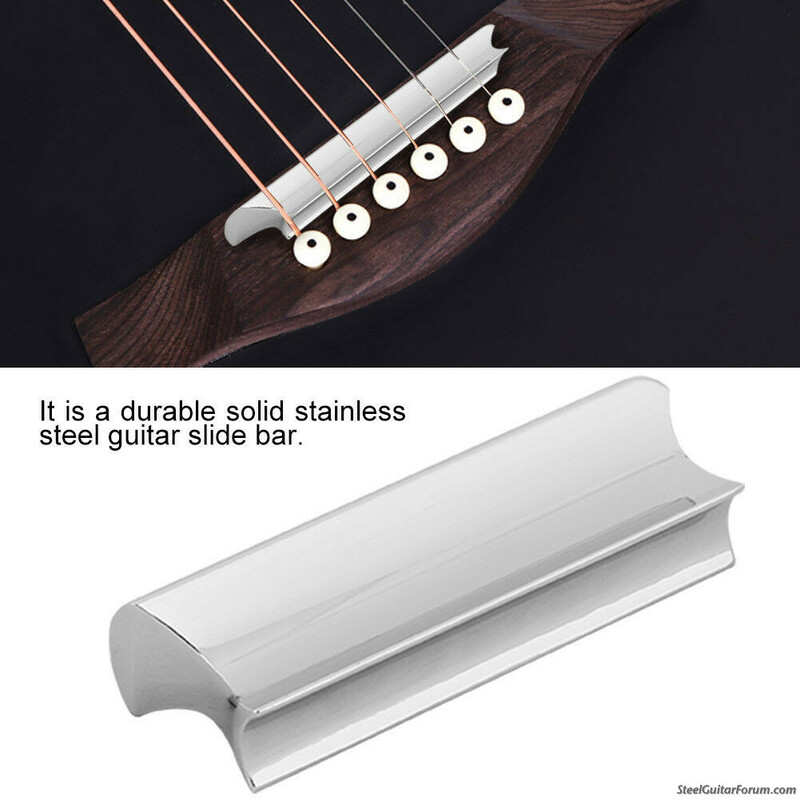 I made it as a gift for a friend who is a Harley Davidson fan/rider and he had often threatened to learn how to play, in his words "three string guitar". 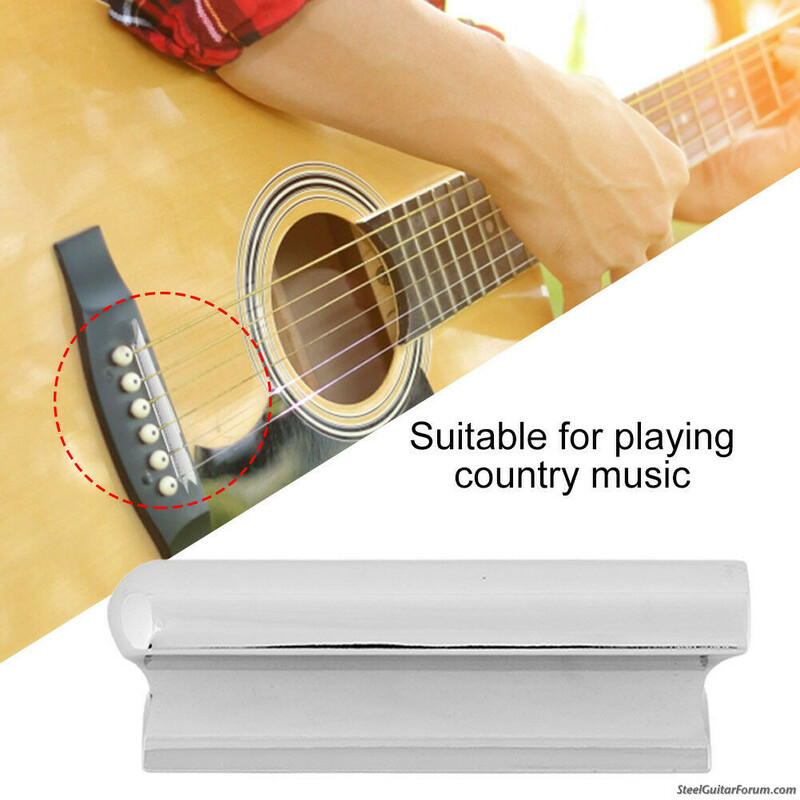 The tin was a candy tin and it is acoustic. As I am not a slide player I had no material so I wrote a short tune entitled "Home Song". Here it is on Soundcloud for those interested. How do you tune a cigar box guitar? What notes are the strings? Sounds great! Good question James, I don't know the answer though I expect Cigar Boxes use different tunings just like lap steels and it was a while ago when I recorded that but I just had a listen and it looks like I used A and had 1 and 5 for the first two strings then 4 for the third string. So it sounds like I thumped out a rhythm on the A and E string and played a bit of a melody on the D tuned string.